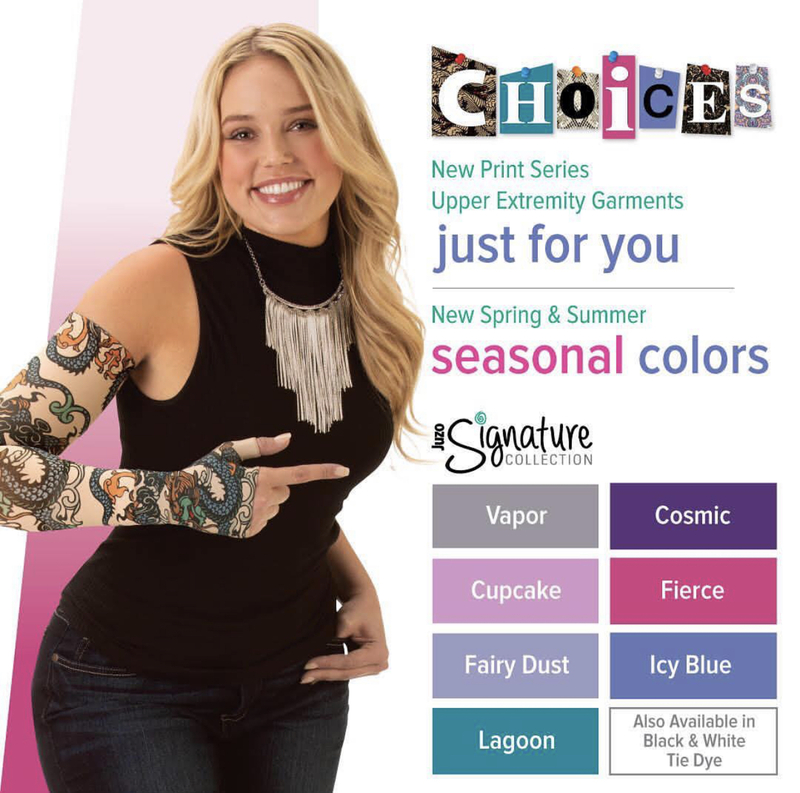 We wound down Lymphedema Awareness Month, but we all know it does not stop there. As patients we advocate, educate, raise awareness, fundraise, and take action year round. In fact, a member of my group asked me how to get involved. I thought I would write this first in a serous of blog posts on why I became an advocate. My first piece of advice in getting started with advocacy is to identify why you are driven to do it. Which aspect of this disease inspires you to step forward and tell your story? In other words, why do you want to join the fight against lymphedema and lymphatic disease? This is my patient story speech delivered at the 2018 CA Run/Walk to Fight Lymphedema & Lymphatic Disease in Santa Monica, CA. I hope you can relate and get a sense of why I am passionate about lymphedema advocacy. Specifically, why I volunteer for LE&RN. Hey y’all, my name is Veronica Seneriz but you can call me Vern. I currently serve as one of the Texas Co-Chairs of LE&RN. It is my honor and pleasure to be with you here in California this morning. This weather is absolutely incredible! As we landed from Houston all wrapped up in compression, all I could say was “ahhh.” It felt like I had opened a refrigerator door and let the cool air just blast me. I’m thrilled at this amazing opportunity to see so many beautiful, familiar faces and equally make new, long lasting friends. Believe it or not, this is my 3rd Lymphwalk for 2018. In March I hosted the first Walk in the Greater Houston area where Dr. Dave Zawieja, Director, Division of Lymphatic Biology, College of Medicine, Texas A&M Health Science Center was our keynote speaker. Last month was the DC Walk. I feel like I’m becoming a Walk groupie! If you don’t know me or my story, Lymphedema has run in my family for at least 113 years. We carry the genetic markers for Lymphedema Distichiasis, a rare hereditary form of LE. I have a double row of eyelashes that are so famously attributed to Elizabeth Taylor; except mine scratch my corneas. Both my father and grandfather had lower extremity lymphedema. My grandfather was bilateral like me and my father was left leg unilateral. When I was asked to do this, they said “Vern, tell your patient story.’ Hopefully it will not take 100 years to deliver this speech. As part of my advocacy endeavors, I serve as a volunteer patient chair at Memorial Hermann Hospital. I help find speakers and topics for discussion at an in person lymphedema support group and give out information on LE&RN. One of LE&RN’s publications has a message that deeply and profoundly resonated with me recently – To win a fight, you must first join it. Make no mistake. Our time is now. We will rise up and demand increased awareness and education, dollars for research, and better overall healthcare for all people with lymphatic disease. Allow me to explain why I’m personally committed. I’m in this fight for family. My grandfather was never diagnosed in his 79 year lifetime, and it took 24 years for my father to be diagnosed. I know what it is to watch a family member go from doctor to doctor searching desperately for answers. My Uncle had a heart transplant 10 years ago, and I only learned recently that heart defects are tied to our type of LE. I now have two cousins with it. I also have a son whose legs I watch every single day. I’m in this fight because I remember being a little girl in the early 80’s when my father had 104 fever from yet another bout of cellulitis and his flaming red leg was padded with ice. My mother had my brother in her arms and held my hand and refused for us to be separated. Extreme temperatures are the worst thing for lymphedema but no one knew at the time. My father would go on to suffer more than 100 bouts of cellulitis in his lifetime. They didn’t have a name for the root cause. They simply called it cellulitis. I’m in this fight because from about the age of 10 until I went to college, I hand washed my Dad’s compression which he wore faithfully every single day. I hated it, but they were so expensive that my Mom didn’t want to risk ruining them. I’m in this fight because in 1990 my father went to a surgeon to see if the swelling could be sucked out somehow. He was ahead of his time. The surgeon said, “Son, all I can suggest is that it’s best for you to cut that leg off. It ain’t doin’ you a bit of good.” My Mother began to cry which angered my father. He said, “If you cut my leg off, can you guarantee that it won’t develop in the other leg?” You see, Dad knew that LE could be in both legs from observing HIS father. The surgeon of course said no and my father refused amputation. I’m in this fight because in May of 1998 I was driving down the freeway in Houston, TX and saw two legs that looked like my father’s one leg on a billboard. By then I was 4 years into my own swelling. There was a 1800 number that I literally pulled to the side of the road to write down. We went together and primary lymphedema was confirmed as a diagnosis. Dad received treatment and reduced by 40%. He stayed at my apartment for 8 weeks during CDT. I, however, was denied treatment. They said “Don’t worry kid. You’ll never be as bad as your Dad.” I was lulled into a false sense of security that this disease was not progressive. I’m in this fight because in 2010 I went to a doctor who laughed in my face at idea of exercising with bilateral leg lymphedema. Not only did I have to wait for my own LE to advance before anyone would treat me, I was then given misinformation. Research now shows that exercise is excellent for LE. So that’s when I joined the fight and took action. I got help 2.4 miles away from my home and reversed my lymphedema enough to wear normal shoes again. It took me an entire year. I used to think that my family and breast cancer survivors were the only people on the planet that suffered from this disease. I could not have been more wrong. 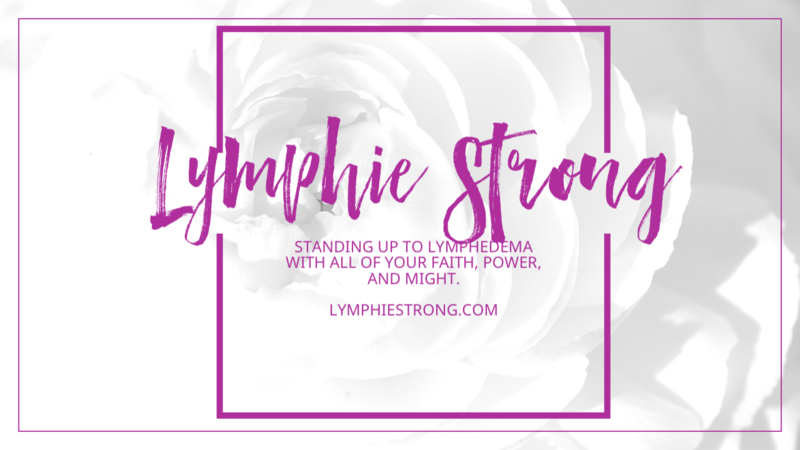 I had this idea for a blog called Lymphie Strong, a dedication to my father and initially multigenerational families with lymphedema. I asked my father if he thought it was a good idea and he replied, “Do you think anyone will read it?” I said, “Uh, I don’t know. I hope so.” To date, the blog has reached over 120 countries. Countries I can’t even pronounce. When I ran my first 5K, my father asked me “What are you going to run for? Alzheimer’s , cancer, ALS?” It took me 3 days to think about it, “I said I’m going to run for lymphedema.” He slapped his hand on the table and said “That’s right. It’s our turn. Do it! I’ve got this cane and my leg is no good. You promise to run for me too?” I said “I promise I will run, walk, crawl for as long as my legs will carry me.” To date, The Lymphedema Running & Fitness club has reached participants from the USA, Canada, Japan, Italy, Germany, and Australia. Sadly on June 29, 2016, my father passed away from stage IV metastatic adrenocarcinoma, but not before battling one last bout of cellulitis. He fought it in the ICU with an IV going in each arm. He walked out of that ICU with a walker 7 days before he died. If he could do that, then I can do anything. My father left me but in his place I was given a lymphedema family which many are a part of here today. Since then Lymphie Strong grew into a social media platform with two online support group communities and a public page exceeding 5,000 worldwide in number. We have helped countless find help and advocacy opportunities. Part of the mission is to connect patients to LE&RN chapters and the LTA. 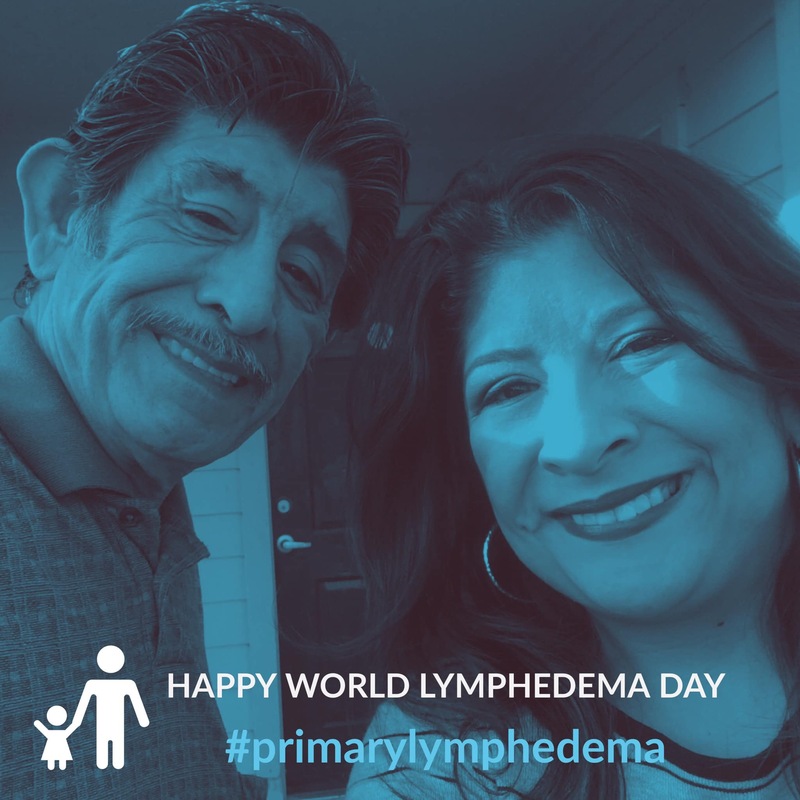 On World Lymphedema Day 2018, the page reached 25,000 viewers. Oh and that compression that I hated to wash? In May of 2017, I went to DC on behalf of the Lymphedema Treatment Act and again in 2018 for LE&RN Lobby Days. I never imagined as a girl that I would lobby for Congress to cover compression. This our patient story and why I joined the fight with a few examples of how I got involved. I strongly encourage all patients here today to get involved in some form. Everyone is fighting a battle we know nothing about, but everyone also has strengths and talents that can help others. My speech is respectfully and prayerfully dedicated to all who have passed on waiting for a cure in their lifetime. I firmly believe our time is now and we can each make a meaningful contribution towards making the world a better place for all people with lymphatic disease. Whether you are doing it for yourself as a patient, as a therapist, as an advocate, as a doctor; or as a caregiver or friend; we thank you. Thank you for being here and sharing the journey with us. We are in it to win it!! This was just a short year ago and so much has changed. I will continue to share in subsequent blog posts. Drop your thoughts and comments.